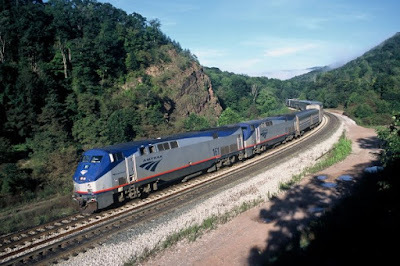 Riding Amtrak: Sleeper Accommodations ... Is It Worth It? Growing up, I'd always been fascinated by train travel. Seeing the countryside by rail has a certain appeal to me, even now. The advantages of riding include less stress, chatting with people from all walks of life, and having the time to reflect on life as you gaze out at the seemingly endless, beautiful landscape! If you haven't tried it, or perhaps it's been on your bucket list for awhile, I'd highly suggest you toss aside any reservations you may have had about train travel and give it a try - at least once. As soon as you're onboard and settled in, I think you'd quickly understand why this is my preferred method of travel. It may not be the quickest mode for getting from Point A to Point B, but for those with a fair amount of patience, you won't likely be disappointed!